Blitline is an add-on for providing image processing in the cloud. Image processing is a time intensive and CPU heavy process. Usually image processing is accompanied by managing queues and maintenance overhead. Blitline is a cloud based image processor designed to take the image processing off your machines and into the cloud. Once Blitline has been added a BLITLINE_APPLICATION_ID setting will be available in the app configuration and will contain the application id needed to call Blitline. This can be confirmed using the heroku config:get command. Ruby on Rails applications will need to add the following entry into their Gemfile specifying the Blitline client library. See a list of available functions on Blitline. You will get JSON back describing where the resulting image will be located There are many more things you can do with images (including pushing them to your own S3 buckets). And you will get JSON back describing where the resulting image will be located There are many more things you can do with images (including pushing them to your own S3 buckets). 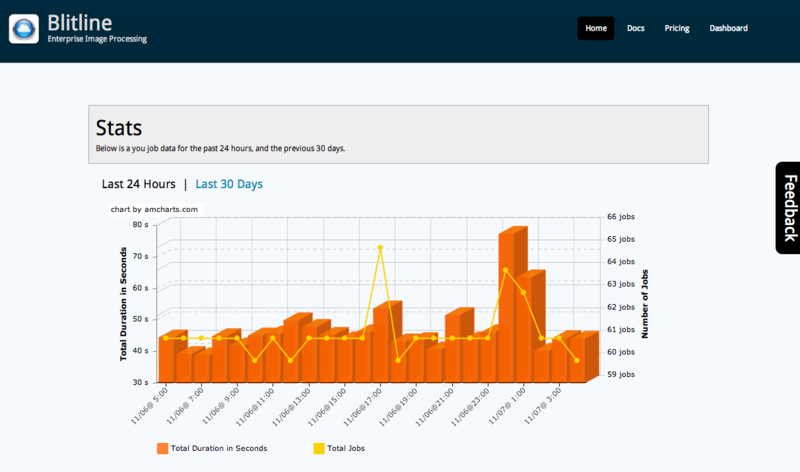 The Blitline dashboard allows you to see your current usage and view you latest jobs that have been submitted. 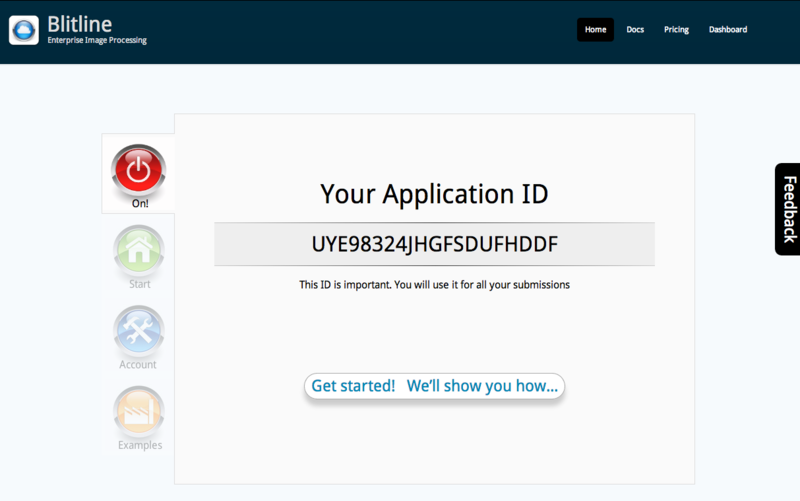 or by visiting the Heroku Dashboard and selecting the application in question. Select ADDON_NAME from the Add-ons menu. Blitline can be removed via the CLI.